Individual teachers and entire school districts are reinventing the learning model and pushing the boundaries of traditional teaching methods with great success. 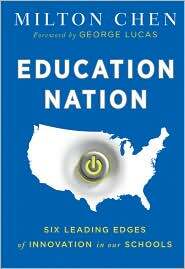 Milton Chen's new book Education Nation: Six Leading Edges of Innovation in Our Schools, chronicles these examples and pushes for major reform in education. 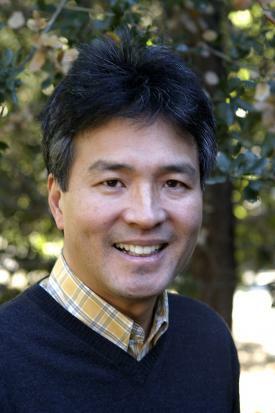 Chen is a senior fellow and executive director emeritus at The George Lucas Educational Foundation (GLEF). He was the founding director of the KQED Center for Education (PBS), a director of research at Sesame Workshop, and an assistant professor at the Harvard Graduate School of Education. I had the privilege of working with Chen at Edutopia, and asked him a few questions about the book. Here's the first part of our interview. I'll post the next installment tomorrow. Q. Why do you think publishing this book is important right now, at this particular time? A. I believe there really is a growing consensus that schools need to shift in some dramatically new directions. There's also a greater urgency, seeing where we're at and where our students need to be. Certainly, based on our work at Edutopia, we've seen a growing number of schools and other places of learning in the community working along the Six Edges I discuss, such as redesigning curriculum and assessment; taking advantage of learning time during afternoons, evenings, weekends, and summers; and recognizing that today's digital youth are learning and communicating in new ways. The speed, cost, and quality of learning experiences enabled through technology has improved tremendously in the past few years, which gives me hope that the U. S. can accelerate the learning of today's students. - What are the most common "yes, but" arguments you've heard from the education community about pushing for technology in schools? And how do you respond to them? There are at least three, and I'll call them the 3 P's: price, professional development, and proof. While we've been having these arguments, technology continues to get better and cheaper. Some estimates place the cost of providing students and teachers with laptops, hardware, software, Internet access and teacher development at about $250 per student per year, which is certainly affordable when we're spending close to $10,000 per student per year, without substantial improvements, and when textbooks can cost $150 each. Some say that teachers aren't prepared to teach using technology. Professional development is the key factor in making technology work, as decades of studies have shown. My sense is that, again, today's teachers are asking for these tools and for the training to utilize them. Education is an information-intensive enterprise, and teachers need the modern tools of this Information Age to do their jobs. Plus, there's a new generation of teachers in their 20s who are digital learners themselves and very comfortable with using these tools and helping students and other teachers learn to use them, too. On the question of proof of learning outcomes with technology-enabled learning, there is a solid record of research and I cite some of it in my book; for instance, from the Maine studies, especially of impact on students' writing. But there is also a need to invest in better, longer-term, and more rigorous studies. This type of specific, technical research can take years and require substantial funding. There is also the simpler, more direct type of proof that all of us experience every day: Would you give up your computer and Internet access and go back to the old ways of communicating and finding out information? - You list many exemplary schools that have embraced technology and innovation in the book. Is there one in particular you can pinpoint that shows how a school without the luxury of a wealthy constituency can bring the benefits of technology to a school with creativity and resourcefulness? I'd point to the state of Maine. While there are many individual schools and districts across the state who are employing technology in low- and middle-income communities, Maine is still the only state where the transformation has been brought to scale, where every middle-school student has their own laptop. When you see these students on boats on the Maine lakes, as the Edutopia documentary shows, with inexpensive digital microscopes attached to their laptops, analyzing water samples and looking at microorganisms, just as scientists do, you see the transformation in action. - What do you think about Bill Gates' quote recently regarding how the Internet will be "better than any single university"? I agreed with his statement that the best content will be on the web, rather than captured in print textbooks. This is already true. I still believe, in both K-12 and higher education, that faculty have a vital role to play, both in-person and online. And this is already true. Teachers and professors are already using the web-based platforms to supplement and enrich classroom interactions. So I'm not sure that the Internet will or should completely replace place-based campuses, but it's abundantly clear that online courses are already improving course opportunities for students, especially where quality courses don't exist in their schools and universities. Bill Gates raised [the point about] the high cost of higher education, which is of great concern for students and families. Technology can help lower the cost and maintain quality, if implemented well.